This was such a gorgeous quilt top! The colours, the fact that it was perfectly straight, and the gorgeous tones of the beige fabrics blended so well that the light and dark beiges were hard to distinguish. 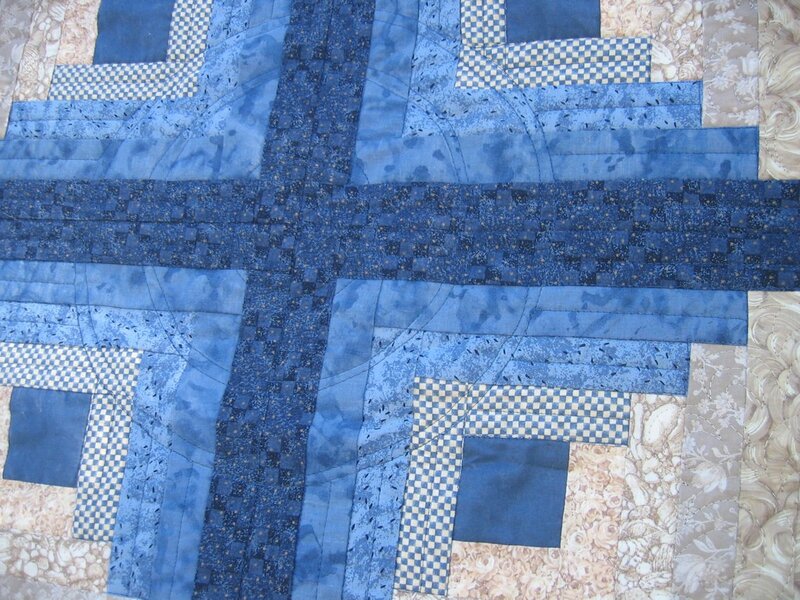 The backing was the same dark blue fabric as the darkest blue in the log cabins, and had a panel of these same log cabin blocks through the centre of the backing. 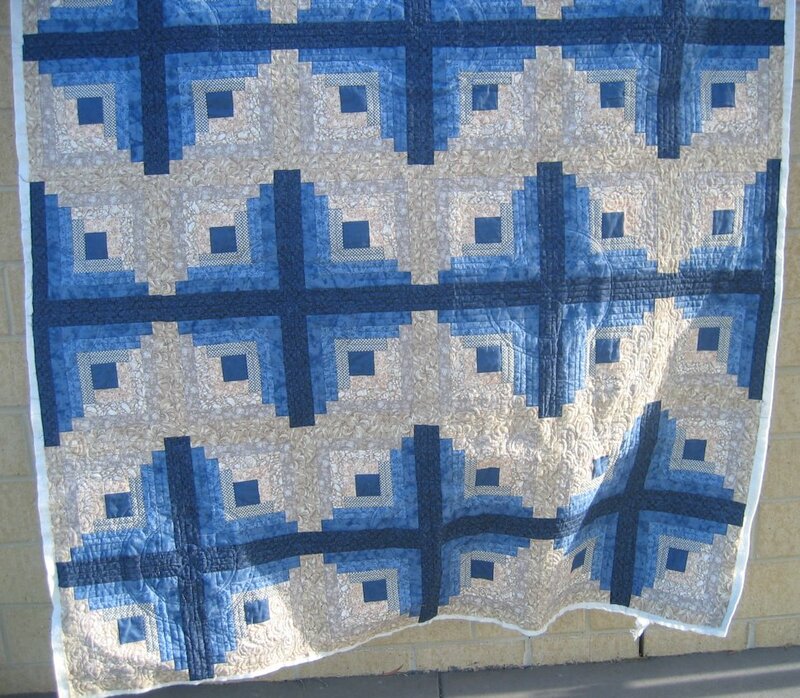 How to quilt this so that the lovely top was enhanced? Well, it was obvious that I’d use a beige thread in the beige areas — that was a given. But the choice of motif was a little harder to decide. First though, were the blue parts of the log cabins. I saw art deco and Navajo Indian motifs in the straight lines, so to really emphasise the straightness, I marked and stitched circles (! ), bringing out even more the art deco/Navajo elements that I already saw. I then stitched in the ditch and in the centre of the blue bars down to the largest circle and in parts of the inner circle too. I used a navy thread in the top (no I don’t recall which one — I quilted six community quilts quilts over my quilt retreat weekend and didn’t keep track of my threads), with a matching navy bobbin thread. 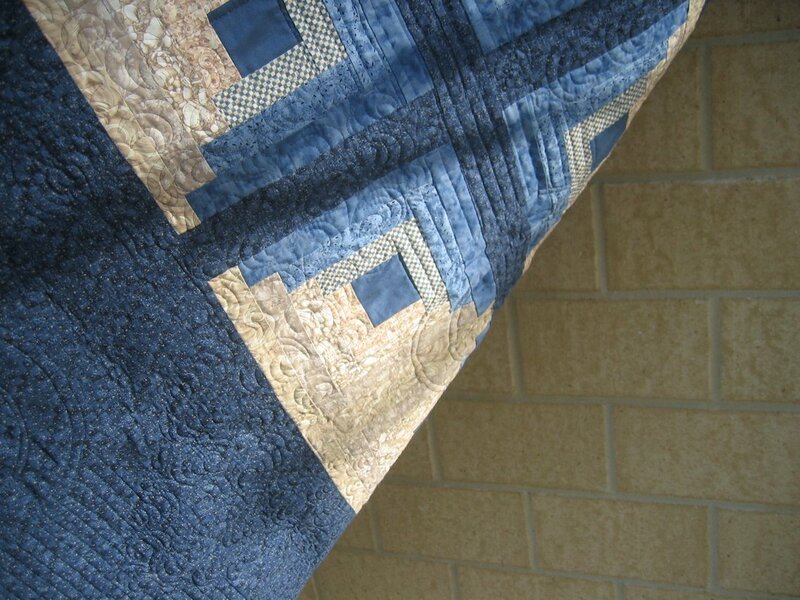 Finally, I decided on a simple wave motif for the beige areas and quilted those after I’d completed all the blue areas. 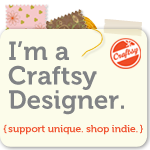 Click on a photo to show it larger. 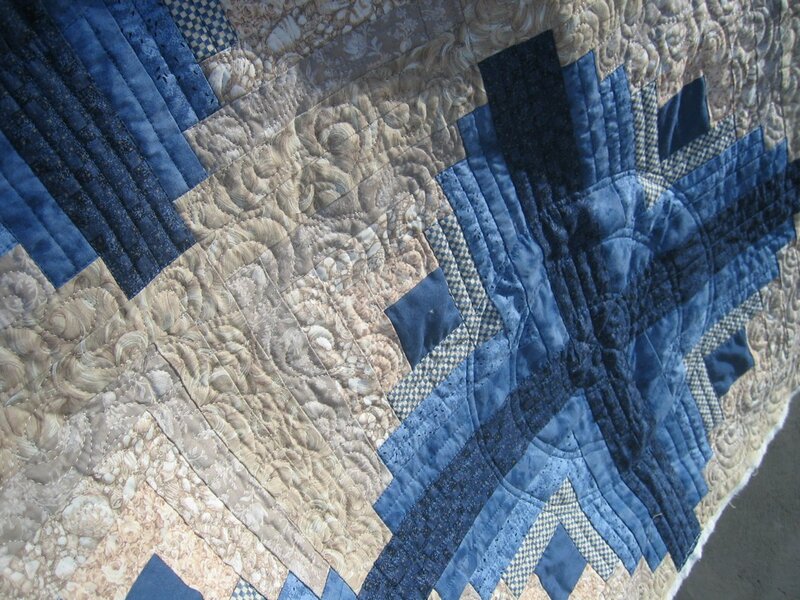 The quilting is so perfect for the piecing and the ‘feel’ of the quilt. Love that large circle in the blue!!!! !